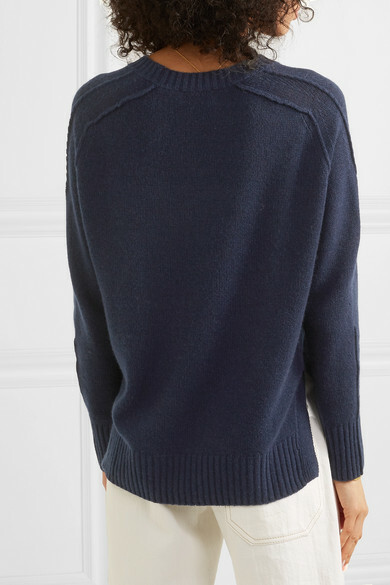 You'll struggle to find a sweater cozier than this one by Allude. 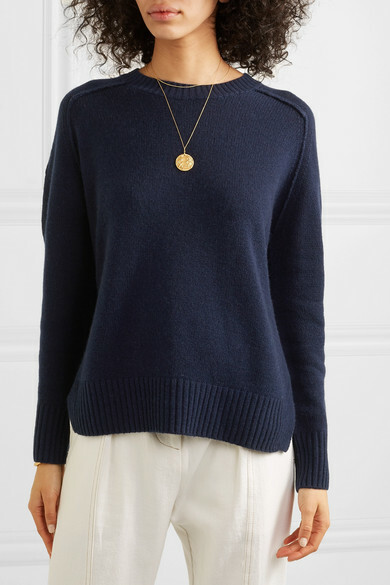 It's knitted from navy cashmere that feels sumptuously soft and a little fluffy. 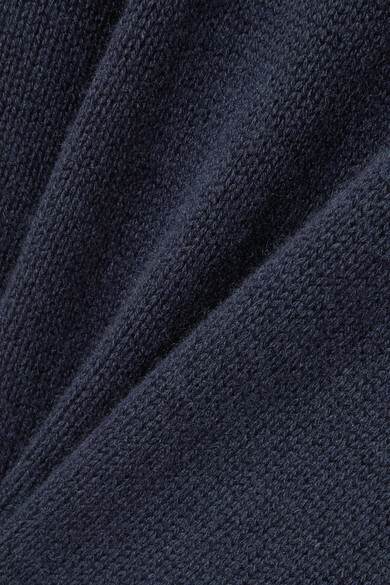 The relaxed shape is outlined with raised seams and has side slits so it won't bulk. Tuck it into tailored pants or leave it loose over jeans. 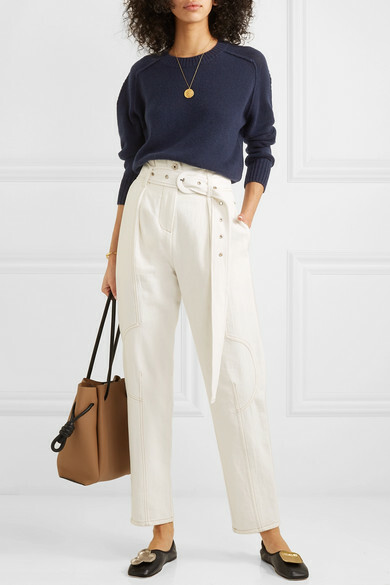 Shown here with: LOW CLASSIC Pants, Loewe Tote, Loewe Ballet flats, Sophie Buhai Cuff, Monica Vinader Necklace, Alighieri Necklace.